Bobby McFerrin looks like an ordinary, middle aged man. With dreadlocks. He’s starting to turn gray, he’s slight and wiry. Then he opens his mouth. McFerrin is a musical instrument, and I am not using that metaphor as I would typically use it to describe the human voice in an orchestral or other music context. I mean that McFerrin, the whole man, is an instrument that produces the sounds of a full symphony. The mouth, the throat alone can not possibly create this music. He becomes a vibrating reed, a set of chimes, an arsenal of African percussion, a four-string bass, a keyboard, any horn. And yes, he can sing, too, and his range runs from the deepest bass to the highest soprano. Sometimes simultaneously. Last night, a full house at Orchestra Hall listened with disbelief as McFerrin followed a very accomplished set from Cantus—an all male acapella ensemble—with an hour-long solo set, as well as a couple jointly created pieces with Cantus. Some of the music sounded like arrangements of reggae and traditional African folk; more familiar were his imaginative take-offs on 20th century television and commercial themes and his arrangements of Bach--requiring counterpoint melody and rhythm as well as a full chorus solitaire. For one tune, he invited local songstress Judi Donaghy, who has worked with McFerrin’s Voicestra project, to join him on the Jimmy Cliff hit, “I Can See Clearly Now”—Judi playing the (perfect) straight voice, McFerrin providing the full rhythm section with both single lines and full-fledged chords. He surely challenges the concept, “one man, one voice.” Here, one man provides two, three, even four voices at once. I suspect his vocal chords do not look like mine. But then again, he is not merely using his voice. Striking his chest he sends vibrations in all directions, his torso now a steel drum, now a cajon. “Solo” is not really an accurate description of a McFerrin set, as he makes full use of the audience as back-up musicians to provide words and harmonies. He even offered a visual lesson in intervals, taking half or full steps or leaps on stage to signal different tones to the audience—a lesson that would surely enthrall kindergartners as much as it did 2000 adults. McFerrin engaged even the most stoic Minnesotans. The best was saved for last as McFerrin presented the entire songlist from The Wizard of Oz, complete with spot-on imitations of the Wicked Witch, Glenda, Dorothy, Scarecrow, Tin Man, Lion, and Wizard, as well as the Munchkins, Lollipop Guild, and more, in perfect sequence, with multi-part harmony, a ten-minute whirlwind of energy and sheer delight. He seemed finished but a third curtain call persuaded him to give us one more. And what would be more fitting than the iconic farewell from the Mickey Mouse Club show? Again engaging the audience and providing all of the beloved verbiage, McFerrin closed with M-I-C...K-E-Y... M-O-U-S-E. It was a cultural almanac as much as a musical event. One man, one orchestra. 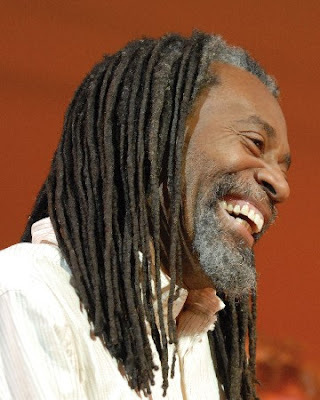 Photo: Bobby McFerrin from a recent Kennedy Center press release.